Another full-time club is opening in my area, the Smash Table Tennis Center in Sterling, Virginia, which will open in about one month. (Not to be confused with the Smash Table Tennis Club which recently opened in Fall River, Massachusetts.) This makes 77 full-time clubs in the U.S. (in 23 states and DC), and seven full-time table tennis clubs within 45 minutes of me (probably all within 30 minutes if no traffic). 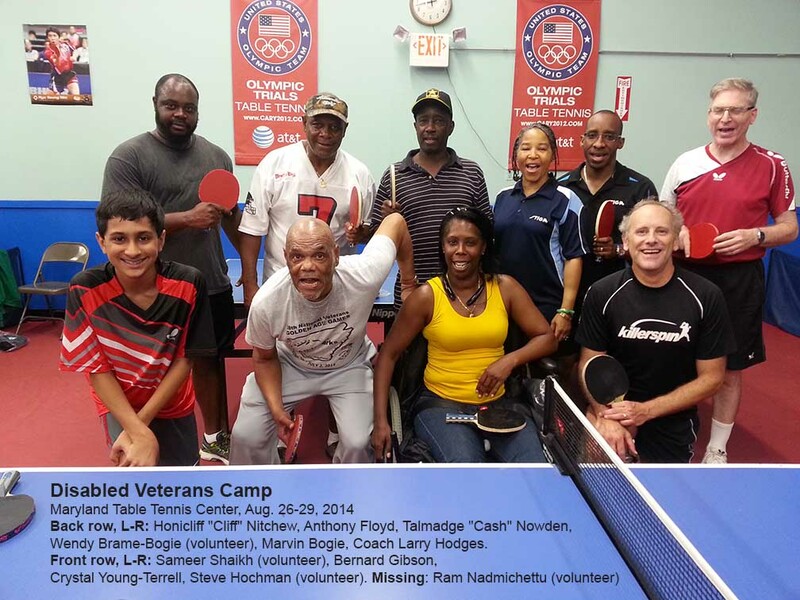 Table Tennis in the Maryland region is exploding!!! It is a scary thing for a full-time club when another one opens up locally. In the short run, it does hurt business. But new clubs bring in new business, and some of that business goes to the other clubs, and in the end, everyone benefits - it is not a zero-sum game. When a new full-time club brings in new players, many of those players end up playing in the other clubs' tournaments, leagues, and coaching programs, become members, and the local table tennis community increases, to the benefit of all. (And word-of-mouth from the new players brings in still more players.) So yes, "A rising tide lifts all boats." I wrote about this in my March 19, 2014 blog. A key thing, however, is you don't open a club with the thought that there is already a demand for the club - though that helps, and is a reality in some regions due to the hard work of those who created the demand. No, when you open a full-time club (or any club), the point is to create the demand. This means creating programs that players are interested in, and so becoming members. Getting players into a club isn't that hard if you know how to go about doing it, but keeping them is. It finished over the weekend. Here's the ITTF page for the event, with results, articles and pictures. Kanak Jha got the bronze medal for Cadet Boys' Singles, while he and Jack Wang got the bronze for Cadet Boys' Doubles and Teams. Crystal Wang and Amy Wang got the bronze for Cadet Girls' Teams, and made the quarterfinals of Cadet Girls' Doubles. Crystal made the quarterfinals of Cadet Girls' Singles. Overall in the singles Kanak came in 3rd, Jack 8th, Crystal 7th, and Amy 17th (after winning the "Losers Bracket"). Here's an ITTF article that features. Kanak. Here's the article. With the recent issue about whether the 2012 Olympic Men's Final was fixed, this is of extra interest. The fixed matches featured here are only a fraction of them; fixing matches was considered standard in the past, where coaches and officials would decide who should win to tactically and politically most benefit China. (And there is no denying there is a logic to this, but at the expense of the players who trained for so many years only to be treated like pawns.) I've had some serious discussions with people from China who strongly believe in this type of fixing - I've concluded it's a cultural thing. It happens in America as well; I know of at least four times where players dumped matches to affect who made the U.S. team or equivalent. There's no getting around this type of thing. Here's the video (2:26) by Samson Dubina. Here's the video (6:51). I've done this before, but not recently. I think I'll do it in our next junior sessions. It's not only good training (by forcing players to cover extra ground, the actually ground they do need to cover becomes easy), but it's fun and the kids like doing something different. Here's the USATT article on the upcoming Butterfly Teams. Here's the article on the new full-time Smash Table Tennis Club in Fall River, Massachusetts. Here's the video (4:59) - the first one is a doozy! Here's the video (28 sec, including slow-motion replay). I believe the server serves on the edge, followed by three consecutive edges, two by each player. Zhou Xin Table Tennis Academy. Boo. Yesterday was the first day of the four-day Disabled Veterans Camp I'm running at MDTTC. We had six players plus three volunteers. One of the players was in a wheelchair, the others were standing disabled. All of the standing disabled were in good enough condition to do footwork. The ages ranged from 32 to 79. All of them were experienced players, with the playing range from about 800 to 1500 in level. Players in the camp are Marvin Bogie, Anthony Floyd, Bernard Gibson, Honicliff "Cliff" Nitchew, Talmadge "Cash" Nowden, and Crystal Young-Terrell. Volunteers were Steve Hochman, Sameer Shaikh, and Wendy Brame-Bogie. Steve (rated about 2000) and Sameer (age 13, about 1600) acted as practice partners while Wendy did ball pick-up the whole time. Their help was greatly appreciated! Here's a group photo. I got caught with my mouth open wide. As the picture is taken I'm leading the group in a chorus of, "Steve can't smash!" The camp was made possible by a grant to USATT from the USOC. Not only is the entire camp paid for - the players don't pay a cent - but they sent a large box of goodies for the players, via Paddle Palace. Each of the players received a very nice Stiga blade and sponge. I don't remember the model or types as I'm more versed with Butterfly equipment, but it was top-of-the-line rackets and sponge. The sponge was a type of tensor sponge, and probably retails at $50 to $60 a sheet. I spent a large chunk of time on Monday night putting the rackets together. I'll try to remember to jot down the type for tomorrow. Besides the rackets and sponge, they received Paddle Palace racket cases, free lunches, and each received a one-year membership to MDTTC. The focus on the first day was the basics - grip, stance, forehand, and backhand. The main difference from other camps was that we can't be as strict on technique, both because of disabilities, and because some of them have played many years. For example, the oldest, Bernard, 78, has been playing for longer than I've been alive (I'm 54), and uses an extreme backhand grip, and uses the same side for both forehand and backhand. Rather than try to change that the focus for him is to make sure he strokes the ball from both sides, and not just keep the ball in play. From his grip I thought he'd be very backhand oriented, with a weak backhand - but it turned out to be the reverse, with a soft backhand but a very aggressive forehand. So when I worked with him the focus was to play his backhand more aggressively. It reminded me of the story of how Dan Seemiller as a junior went to Dell Sweeris for coaching, and rather than change Dan's "Seemiller" grip, Dell just made sure he stroked the ball rather than just block - and of course Dan went on to be a five-time USA Men's Singles Champion with the grip, where he also hit both forehands and backhands with the same side. I set up a six-player rotation, where players had six stations: multiball with me, robot, hitting with Steve, hitting with Sameer, and two of them hitting together (the last counted as two stations). We ended the first day with the "ten-cup challenge," where I stacked the cups in a pyramid, and each player had ten shots to see how many they could knock down. One player did all ten, and I think two others did nine. All got at least five. I've added the Boston TT Academy to the list of full-time clubs in the U.S., raising the number to 74. Here's the video (59 min), a "Table Tennis Tutorial from Beginner to Advanced, the Secret of the Chinese Team." Here's the video (2:39) of kids in a junior program doing it really well. Former USATT President Sheri Pittman Cioroslan is doing an article every day during the last 100 days of Adham Sharara's ITTF presidency, counting downwards from 100. Previous ones are linked from the USATT News page, as well as in my past blogs. Ninety-six down, four to go! Here's the ITTF article and picture. Here's the new trailer (35 sec). Forget Ariel Hsing, Lily Zhang, Crystal Wang, Amy Wang, and all the others not mentioned. Here's the future of USA Women! Yep, the superhero plays, and so does Pikachu - here's the proof! "P is for Peter Parker Playing Ping-Pong with Pikachu." I started this article by writing, "Not a lot of people in the U.S. do it," but by the time I was through, I decided to change that to, "A surprising number of people in the U.S do." So who and how does one make a living at this Olympic sport? Staffing at Professional Clubs. Many of these clubs have professional staffing that run the clubs. MDTTC used to have hired staff at the desk, though now the coaches and owners do this. I'm guessing there are several dozen people making a living primarily running professional clubs. Many of them may have other duties - some also coach part-time, as well as run other activities, such as tournaments. Running Tournaments. A number of people run regular tournaments, but how many make a living at it? Primarily North American Table Tennis. They are closely affiliated with JOOLA USA, with some of their staff working for both. Overall, several people are primarily NATT staffers making a living running their North American Tour and the North American Teams. A number of others make a supplementary income from tournaments, but I don't know of others in the U.S. where it is their primary income. Leagues. Unlike Europe and Asia, there are few large-scale leagues in the U.S., mostly just small clubs ones. I believe Mitch Seidenfeld makes much of his living running leagues in Minnesota, along with other activities. There are large leagues in the New York, SF Bay area, and LA regions, but I believe they are all volunteer run. Dealers. This includes both those who own such businesses, and their staff. The bigger ones are JOOLA, Paddle Palace, Butterfly, and Newgy. (I was shocked recently at how many people now work for JOOLA USA - not all are listed in their staff listing - but I'm not sure they want the exact numbers public.) There are also a lot of smaller dealers. I'd say well over a hundred people make a living in the U.S. this way. Entertainers. The main ones I know of are Scott Preiss, Adam Bobrow, and Soo Yeon Lee. Scott's made a living for several decades as a table tennis entertainer. He's hired by corporations to put on shows, often at equipment expos and conventions. Adam's a stand-up comedian and actor (including lots of voice acting) who more and more is moving into table tennis entertainment. Soo is an actress, model, and does table tennis shows - sometimes playing in high heels! You don't have to be a superstar to do what they do - at their peaks, Scott and Adam were pushing 2200 level, which is good but not great - while Soo, former South Korean junior champion, is about 2450. All three have mastered the art of flamboyant table tennis play, and all have repertoires of trick shots as well as the usual toolbox of spectacular table tennis play, such as lobbing, long-distance serving, smashing, etc. USA Table Tennis. USATT currently has nine people in their staff listing, each making a living at table tennis. I used to work for USATT, as magazine editor for twelve years (also as webmaster and programs director), and as manager/director/coach for four years for the resident training program they once had at the Olympic Training Center in Colorado Springs. Authors. Every year a number of new table tennis books come out, but they are primarily just added income for the writer. Only one person in the U.S. that I know of is really making substantial money right now as a table tennis writer - ME!!! Last year I actually made more money as a writer than as a coach, though that was primarily because of the surprisingly sales from my book Table Tennis Tactics for Thinkers. (I've lazily cut down on my coaching hours as a result.) While continued sales of that and my other books will help, I expect my coaching will make more money this year. I also make some money for articles I write, and a small amount from this web page via advertisers. Here's a great music video (3:21) showing top junior girls training in Europe. Here's the video (3:24), featuring the British #1 woman. Here's the article, Great Showing from Florida Colleges at Local Tournament. Here's the article and a video (7 sec, looping over and over) of pitchers Brian Wilson and Chris Withrow playing. The article claims the Dodgers are better than the Orioles in table tennis, but sorry, it's not even close. I've watched half the Orioles play, and coached three of them, and I've watched this video, and it's like comparing U.S. table tennis to China. The Orioles have 5-6 players who would destroy either of these Dodgers players. JJ Hardy would beat them so bad they'd be sent back to the minors to work on their ping-pong. It's coming this Spring - here's the article! This reminds me of the old anime cartoon series Ping-Pong Club from the mid-1990s. The best thing that's happened to table tennis in recent years is the rise of full-time training centers. I predicted this for years, but most thought there simply weren't enough table tennis players to support more than a few of these. In December 2006, when there were no more than eight to ten full-time TT centers in the U.S. (including my club, the Maryland Table Tennis Center), I even gave a presentation to the USATT Board, urging them to get involved by using their resources to recruit and training coaches to set up these full-time centers and junior programs. I wanted them to set a goal of 100 full-time training centers in five years. The response was a room full of eyes staring back at me as if I were crazy, with two board members bluntly telling me that there simply aren't enough players in this country to support more than a few full-time centers. Others nodded in agreement. They also didn't like the idea of setting a specific number as a goal, since they thought they'd be considered failures if they didn't reach the goal. (This last was crazy, as if you have ten centers and make a goal of having 100, and get, say, 80, you are an incredible success, going from ten to 80 - and then you continue to strive for the 100.) I made a similar challenge at the 2009 USATT Strategic Meeting; same result. In the seven years since the 2006 meeting, we've gone from ten to 64 full-time professional table tennis clubs in the U.S., with more popping up every month. (There's a new one opening up in Houston that'll soon join the list, and another here in Maryland that's opening soon, and others I probably don't know about.) The ones who thought there weren't enough players to support full-time centers simply did not have the vision, experience, or knowledge to understand why this is happening - that when you open these centers, you develop the players needed to support them. They were stuck in the old-fashioned thinking that you opened a club if there are already enough players to support it, which is backwards. Professional clubs develop their own player base. The result has been mind-boggling to those who have been paying attention. The number and depth of junior players who are now training regularly is so far beyond where it was just seven years ago as to be incomparable. The players who lose in the semifinals of major junior events would have dominated the events back then, especially up to the cadet level (under 15). There used to be one or two kids who'd dominate their age group for a decade; now there are a dozen of them in each age group, all battling for supremacy and at levels that approach or match the best in the world outside China. It bodes well for the future of U.S. table tennis. The huge weakness in the growth of these centers is there is no manual on putting together a full-time table tennis center. Every time someone wants to do it they have to reinvent the wheel, or go to current centers to learn how to do it. What's needed is such a manual to grease the wheels, not just to make it easier, but to encourage those considering setting up one to do so. I already did half the job, with my Professional Table Tennis Coaches Handbook, which covers the professional side of coaching - recruiting and retaining students, setting up and running a junior program, etc. But more is needed on the specifics of opening an actual center, from the finances to the specifics of what's needed to open one. It's a rather long todo list. So here's my offer to USATT: If they bring in someone or put together a committee to create such a manual (and I'm not volunteering, don't have time, though I might help out), they can incorporate my Handbook, and create a manual, which can tentatively be called "Professional Table Tennis Center Handbook." (Can you think of a better title?) We can then put it on sale at Amazon.com (created via createspace.com, which is how I now create my books), where it can be published "print on demand" at a cheap rate. And that will greatly encourage coaches and promoters to create even more of full-time table tennis centers. The nice thing about this is that USATT doesn't really have to do much work. They just recruit the person or persons to create the manual, either from volunteers, with a small payment, or (my recommendation), whoever creates it gets the profits from sales, as well as the fame and prestige of being a published author. My first physical therapy session for my arm was scheduled on Tuesday. Someone also scheduled a snowstorm on that day. So the session was cancelled. Since I'm leaving for the Nationals this Sunday, I won't be able to get another session scheduled until afterwards. So I'll probably just rest it, and if all goes well, I'll be fine by January. I may see the midnight showing of "The Hobbit" tonight. If so, I won't get home until around 3AM, and probably not to bed until 4AM - which means tomorrow's blog will probably go up late, probably noonish or so. Brace yourselves! For so many years people have wondered how to fund table tennis, when it was so obvious. 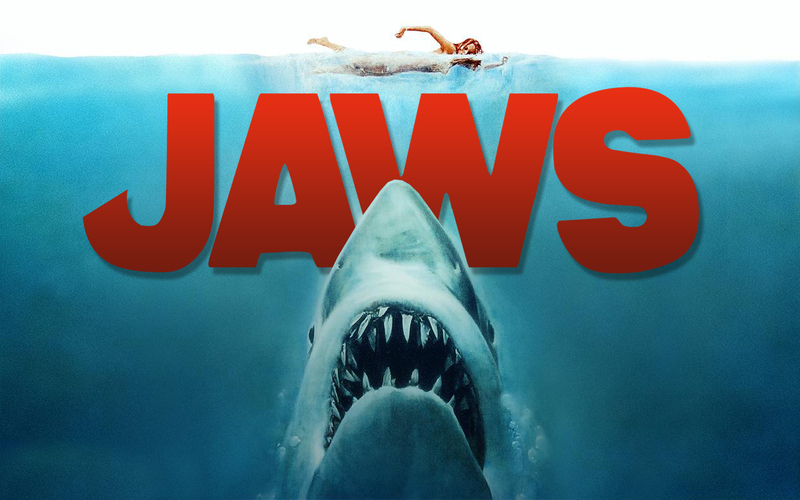 The Meg-Millions lottery is now up to $400 million, with the drawing tomorrow, which is Friday the 13th. So I'm going to buy a few tickets, and use the winnings to fund table tennis. It's so obvious, why hasn't anyone thought of this before? What can possibly go wrong? Sing a song (hum a relaxing song under your breath). In my blog yesterday I wrote, "Unlike past years, there doesn't seem to be time set aside for those who wish to address the assembly." Some seemed to think I was accusing USATT of breaking Article 15.1 of the Bylaws, which includes the statement, "Individual and organization members and other constituencies may be permitted to pose questions to the Board and Chief Executive Officer for response." Technically speaking, this is fulfilled by the 30 minutes set aside in the Assembly this year from 8:15-8:45PM for "Interaction with the Board and Staff." There's just one problem - I never accused USATT of breaking their bylaws. I said exactly what I meant, so I'll repeat it again: "Unlike past years, there doesn't seem to be time set aside for those who wish to address the assembly." I didn't say they didn't get to pose questions to the Board and CEO for response; I said they no longer seem to have time set aside to address the assembly, as had been done in past years. Here's the ITTF article. "After two years of detailed preparation, Aerobic Table Tennis will be launched in January 2014. Aerobic TT is an alternative way to keep ﬁt. Music is played throughout the session to create a high energy zone. The session includes, warm up and stretching, table tennis movement to music, speed agility and quickness exercises plus of course table tennis." Here's video (6:16) of a tribute to the 16-year-old Chinese player, who's already winning ITTF Pro Tour events. Here's video (1:23) of Fiona (3) and Kenzie (1) demonstrating the beginnings of the forehands that will totally dominate the world in 23 years, care of Coach Samson Dubina. Non-Table Tennis - "Satan's Soul"
On Tuesday I sold my humorous fantasy story "Satan's Soul" to Stupefying Stories. A depressed Satan knows he's going to lose at Armageddon - until a superbeing appears and offers to have him win, in return for his soul! Satan negotiates seemingly favorable terms regarding his soul, and even gets to keep possession of it though he loses ownership. Jesus and the anti-Christ will soon go at it in a UN parking lot, with the Anti-Christ throwing modern military hardware at Jesus in a somewhat over-the-top scene, while Jesus fights back while listening on an iPod to Beatles music. Oh, and a penguin is central to the story! Sorry, no table tennis in this one.